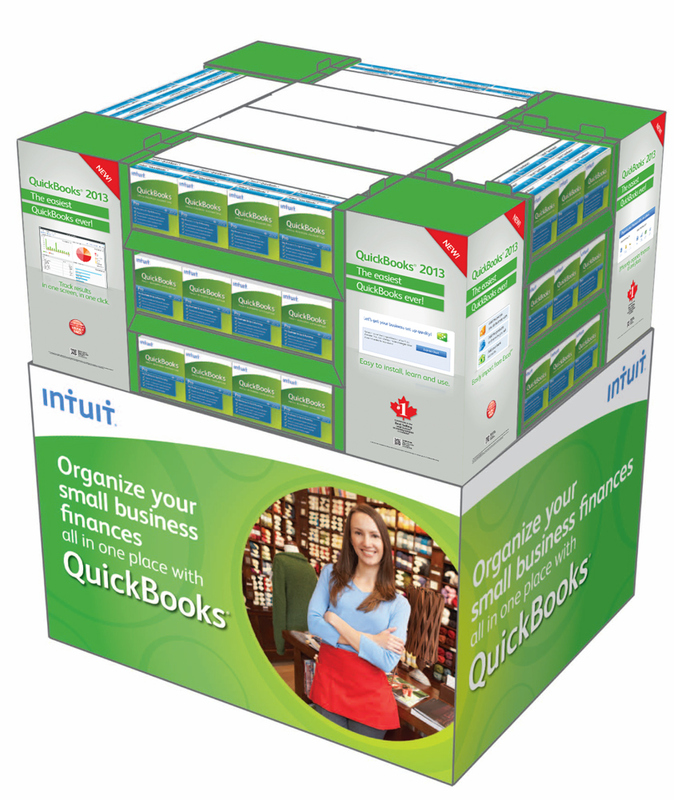 Intuit QuickBooks 2013 pallet display that was designed specifically for use in Costco (Canada). The top portions were new for 2013. The base was leveraged from 2012.